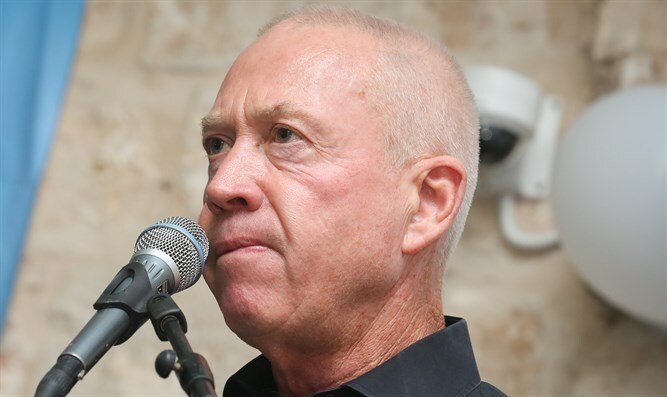 Construction and Housing Minister and political-security cabinet member Yoav Galant (Kulanu) referred to Operation Northern Shield from the Knesset plenum and responded to criticisms made recently on the cabinet's conduct. Minister Galant suggested to Knesset Members, "Let's look at the past month and ask ourselves what were the factual assumptions of many enthusiastic media players against what really happened and what was known to those who bear responsibility." "I'll give short examples of what was published as naturally I cannot relate to what wasn't published. Three weeks ago, the people of Israel were informed by chance mishap that IDF forces were operating in the heart of the Gaza Strip in a way that no one ever imagined, and this at a time when people were grading the IDF's daring and determination. "The public awoke this morning and found out that the IDF is working to thwart Hizbullah's attack tunnels, and that we'll deprive them of this tool. There are other things I can't elaborate on," Galant said, "when we take the security issue and use it as a political tool, we all lose." Galant responded to Knesset Members who called for an immediate and decisive strike against Hamas. "I understand very well all those who think that our obligation to act reflexively depends on the moment someone touches us. We will strike in the Gaza Strip. We need to make decisions in a responsible and supervised manner within the overall process. We'll reach a broad campaign in Gaza, we'll determine the timing and conditions. "There'll be another Gaza campaign because there's nothing to curb the murderous spirit of Hamas, whose reason for existence is based on resistance to Israel. Those who demonstrate at the fence don't say 'give us better relations or improved conditions in Jabalya', they say they want Jerusalem, Jaffa, and Tel Aviv, and this they won't get. Since this is the situation there will be an additional campaign, and the one to determine the conditions and timing will be the State of Israel, not Hamas. "We shouldn't take the process of protecting Israel's security and turn it into a political tool. Such behavior is futile. A little modesty, a bit of courtesy, and some respect for the government of Israel and the cabinet, and less rage and shouting about the wrong things," Galant added.